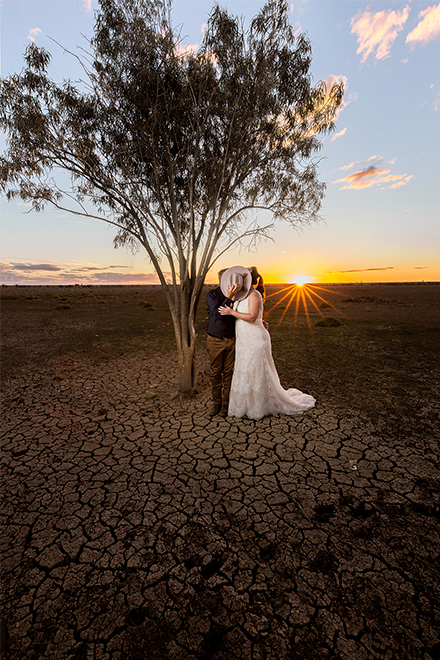 A PROFESSIONAL photographer with a keen eye for the outback is working with volunteers in one of Queensland’s hardest hit drought regions on a project showcasing their resilience during hard times. Anne Smith, from Airlie Beach, is working with volunteer photographers in the Barcaldine region – locals capturing their own images of the drought, these volunteers are participating in a PhD project researching the potential impact of images in building resilience, wellbeing and capacity during crisis events. The images and stories have been uploaded to a Facebook page, Our strength during the drought. “These images and stories present the voices of the Barcaldine regional community,” Ms Smith said. Hope in trials: This photo, Love finds a way, shows life still goes on in spite of the ongoing drought qand hardship experienced by people living on the land. Photo and description: Aaron Skinn. 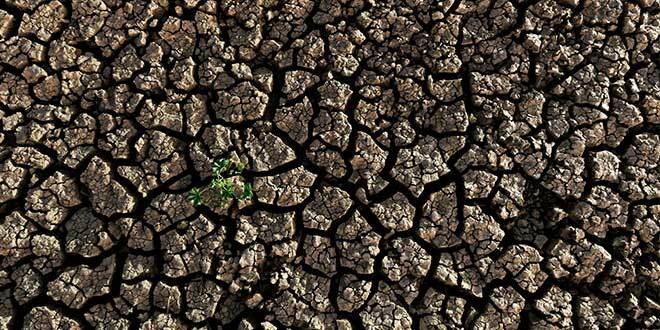 Hope: Life in the cracks of Drought shows a single plant managing to grow in a field of dry, cracked mud. Photo: Aaron Skinn. Barcaldine Regional Council mayor, Rob Chandler is full of praise for the project. “Those images speak louder than words. They show the reality of the situation out here at the moment,” Cr Chandler said. Cr Chandler said some parts of the Barcaldine region had gone eight years without rainfall, others have not had rain for six to seven years. “This is the stark reality of Australia. The best way people can help is get in your car and come and visit, spend money at local businesses, talk to the locals and feel what it is like. Cr Chandler said he’s hoping the uploaded photos and the collected comments will tell the plight of the Barcaldine region, and help him to lobby state and federal politicians for greater support. 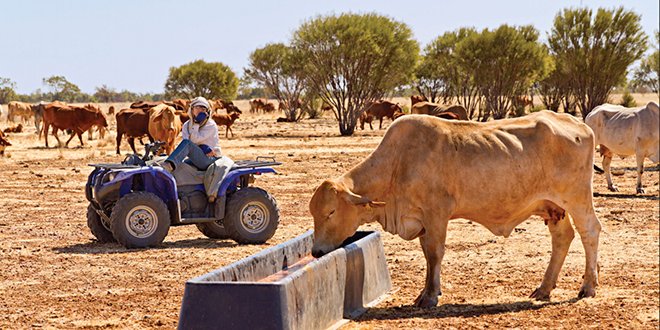 A few years ago Ms Smith teamed up with CentacareCQ to produce an exhibition called “Drought…what next?” – as a visual tribute to life on the land during drought in Queensland’s central-west. The exhibition “Drought… what next?” toured successfully across Queensland and even featured in Brisbane City Hall. It showcased images shot by Anne Smith on three drought impacted properties in the Longreach Regional Footprint..
Ms Smith is using her latest photo project as part of her doctoral research into the power of images – by collecting photos from drought-affected communities and interviewing the volunteer photographers throughout the image making process. “It’s important to understand the potential impact of images in building resilience, wellbeing and capacity during the ongoing drought crisis,” she said. “It’s fascinating, photography – it’s potential therapeutic effect through a crisis event. Cr Chandler praised Ms Smith for empowering volunteers and working towards her Phd project. “I commend her. She really has a passion for the bush and people doing it hard,” he said.